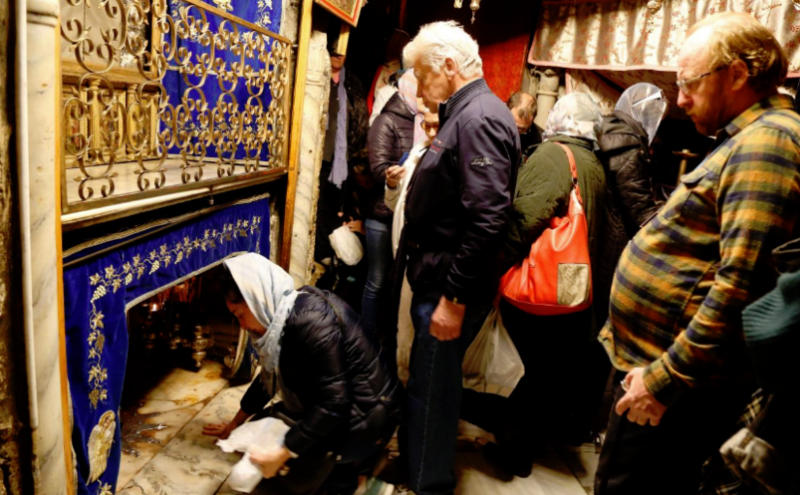 Bethlehem is enjoying its busiest Christmas season on record, the Palestinian Ministry of Tourism said on Monday, with hotels in the birthplace of Jesus almost fully booked for the holiday. Tourism has recovered following a fall in knife and car-ramming attacks which helped push visitor numbers in the biblical city to a 10-year low in 2015. Bethlehem store owners also said they were benefiting from a surge of visitors to Israel in its 70th anniversary year. Hotel occupancy rates in Bethlehem are expected to exceed 95 percent by the end of December. Some American pilgrims in Bethlehem seemed to regard their visit as a continuation of a tour through Israel, rather than a trip to a Palestinian city. Israel’s anniversary — together with U.S. President Donald Trump’s decision to recognize Jerusalem as the capital of Israel and to open an embassy there — has caused increased American excitement in visiting Israel. 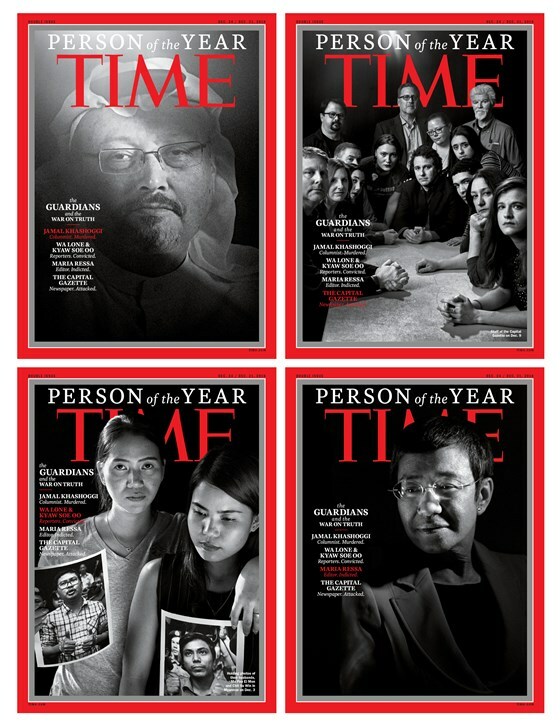 Murdered Saudi Arabian writer Jamal Khashoggi, the Capital Gazette newsroom and three other journalists were named as TIME magazine’s 2018 Person of the Year. The accolade, announced Tuesday on NBC’s Today show, recognizes an individual or group of people who “most influenced the news and the world” during the past year. Khashoggi, a well-known critic of Saudi Arabia and columnist for the Washington Post, was killed shortly after visiting the Saudi consulate in Istanbul in early October to obtain marriage documents. His death, allegedly orchestrated by the highest levels of the Saudi government, caused an international outcry. Saudi Arabia’s Crown Prince Mohammed bin Salman is widely suspected of ordering the assassination, and a CIA assessment determined the heir to the Saudi throne was in frequent communication with a close adviser believed to have overseen the operation on the day Khashoggi was killed. The Trump administration worked throughout the week to head off a Turkish attack against U.S. Kurdish allies in northern Syria, after Turkish President Recep Tayyip Erdogan announced an imminent assault. In a telephone call Friday with Erdogan, Trump discussed Turkey’s concerns and the two “agreed to continue coordinating to achieve our respective security objectives in Syria,” the White House stated. The call followed contacts earlier this week between Secretary of State Mike Pompeo and Joint Chiefs of Staff Chairman Joseph F. Dunford Jr. and their Turkish counterparts. On Wednesday, Erdogan said Turkey would carry out a cross-border operation in “a few days” against the YPG, the Kurdish People’s Protection Units that forms the bulk of the U.S.-backed ground force fighting against the Islamic State in Syria. It is known by the U.S. military as the Syrian Defense Forces, or SDF. Turkey considers the Syrian Kurdish fighters to be terrorists allied with separatist Kurds in Turkey. The YPG has been an issue between the United States and Turkey since the start of the U.S. campaign against the Islamic State in Syria. U.S. forces recruited, trained and armed the Kurdish fighters to serve as ground troops in conjunction with withering U.S. airstrikes targeting the Islamic State. Australia has decided to formally recognize west Jerusalem as Israel’s capital, but won’t move its embassy until there’s a peace settlement between Israel and the Palestinians, Prime Minister Scott Morrison announced Saturday. Morrison said in a speech that Australia would recognize east Jerusalem as Palestine’s capital only after a settlement has been reached on a two-state solution. The Australian Embassy won’t be moved from Tel Aviv until such a time, he said. While the embassy move is delayed, Morrison said his government would establish a defense and trade office in Jerusalem and would also start looking for an appropriate site for the embassy. Australia becomes the third country to recognize Jerusalem as Israel’s capital, following the U.S. and Guatemala. Unlike its predecessors, however, Australia recognized only the western part of the city. The move, therefore, is unlikely to please either side entirely. For the Palestinians, it offers a partial resolution to an issue that they believe should be resolved through negotiations. That decision is softened, though, by recognizing their claim to east Jerusalem. The Israelis welcome recognition of Jerusalem as their capital, but the Australian decision falls far short of their claim to all of the city. Refusing to include east Jerusalem, home to the city’s most important religious sites, is likely to upset Israeli nationalists who dominate Prime Minister Benjamin Netanyahu’s coalition. Israel captured east Jerusalem in the 1967 six-day war and annexed it in a move that is not internationally recognized. Israel considers east Jerusalem an indivisible part of its capital, while the Palestinians seek the area as the capital of a future state. Sudan’s president on Sunday became the first Arab League leader to visit Syria since civil war erupted there in 2011. 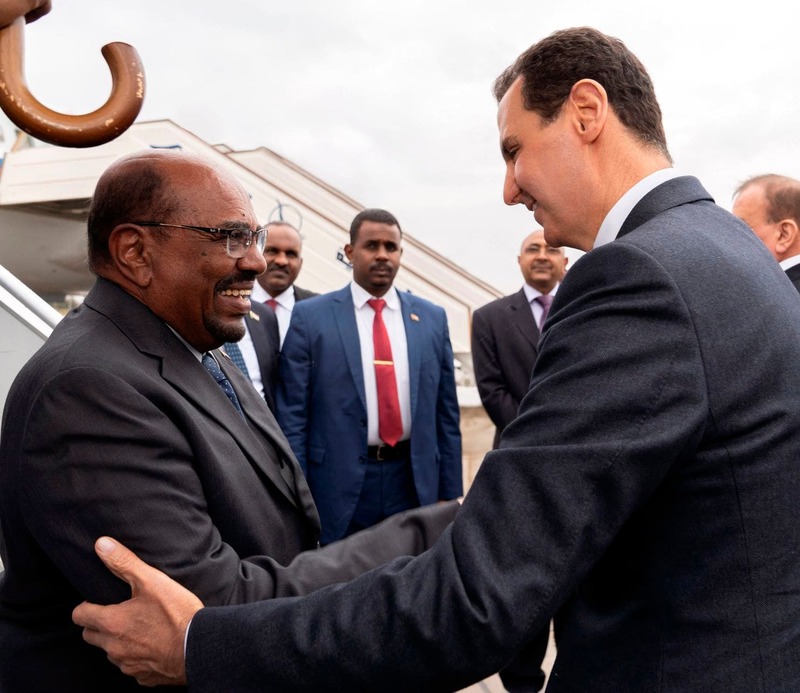 Omar al-Bashir was greeted at the Damascus airport by Syrian President Bashar Assad before they both headed to the presidential palace, where they held talks on bilateral relations and the latest developments in Syria and the region, according to the state-run news agency. Syria was expelled from the 22-member Arab League soon after war broke out there nearly 8 years ago. The Syrian state news agency SANA quoted the Sudanese president as saying during the meeting with Assad that he hopes Syria will recover its important role in the region as soon as possible. Bashir also affirmed Sudan’s readiness to provide all that it can to support Syria’s territorial integrity. Bashir has been Sudan’s leader since 1989 and is wanted by the International Criminal Court in the Netherlands to face war crimes charges stemming from a conflict in his own country.